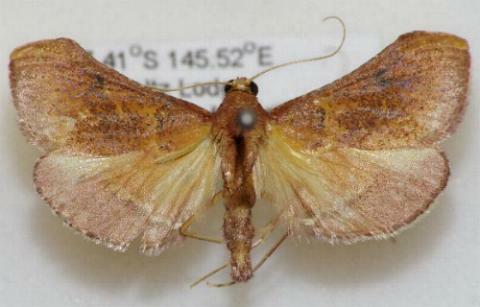 The wings of the adult of this species are brown, with a vague pattern. The forewings of the males have an unusual shape, appearing cut-off at the wing-tips. 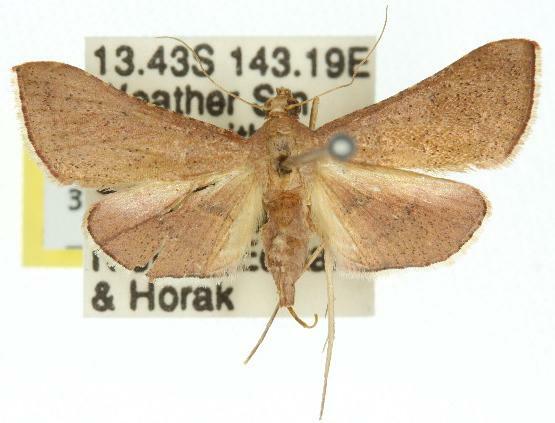 The moth has a wingspan of about 2.5 cms. Series 2, Volume 6, Part 2 (1891), p. 306.